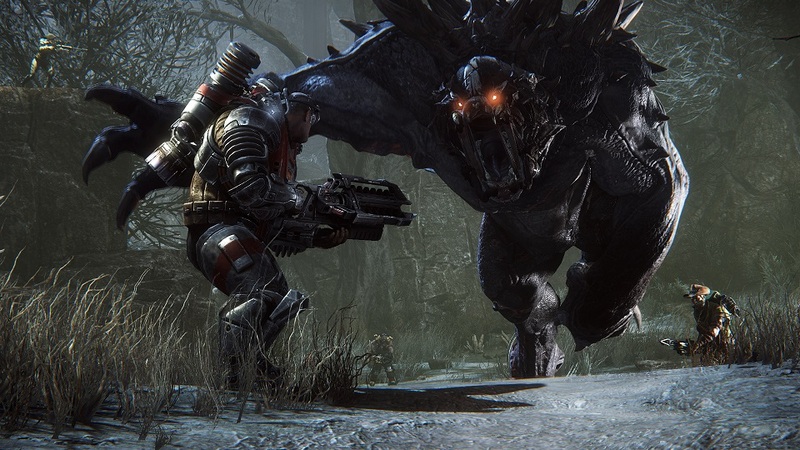 Evolve is turning out the lights in a few months. The 4v1 asymmetrical PvP game never resonated with players for a variety of reasons, many of which were obvious — cost, balance, and bugs, to name a few — and some that weren’t. A recent post on Reddit from one of the developers has granted us some insight into exactly what forces were in play that resulted in the game’s lack of success. Head Writer Matt Colville’s lengthy post describes the issues the game had from his first day with the company, where “the artists outnumbered the programmers” and “all the artists were watching David Attenborough documentaries and reading books about biology and anatomy and evolution.” The focus, he said, was more on building a story and a world than on building a game. He and the other early players thought it worked because they were “roleplaying” Evolve, and once someone actually tried to win, it all went south — which sounds like a tale as old as time itself, of an MMO whose creators are shocked when players rush through everything as quickly and efficiently as possible rather than taking their time and enjoying the world. Such a grandiose vision, Colville said, was what was needed just to get the attention of a publisher, who wants a unique game concept yet doesn’t hold its own games to the same standard. “They are perfectly happy spending $60m on the fifth sequel to something they already own developed internally that is indistinguishable from every other iteration of the same game.” Evolve was published by 2K Games, makers of the 2K Sports series of video games. Colville thought Evolve could have been successful if it would have been free-to-play, rather than requiring essentially a $240 buy-in from four friends, and focused more on PvE, rather than having a player controlling the monster. A F2P co-op game with four players fighting giant monsters? Someone should get on that. Matt Colville is the man. He has his own youtube channel with quite a lot of fantastic guides and tips on how to run Dungeons & Dragons and other Pen and Paper RPGs.